Posted on Mon, Dec 19, 2011 : 1:28 p.m.
A total of 59 employees of the Ann Arbor Public Schools earned more than $100,000 in 2010, the most recent data that's available. The total compares to 88 in 2009, when 4 percent of the district's then-2,082 employees earned a six-figure paycheck. The data was posted to the district's website on Friday as part of its mandated transparency reporting. The difference in the fewer number of employees earning six figures is due to the fact that the 2009 list represented a year with 27 payroll dates instead of 26, according to the district. The timing of the list's release follows a vote last week by the Board of Education to approve raises for two administrators following the hiring of an administrator from outside of the district who will earn more than her predecessor. That hiring was not approved by the board at the time, but Superintendent Patricia Green asked for retroactive approval last week in addition to the raises. The numbers - based on 2010 federal W-2 reporting - also include total payments by the district for each employee. Those payments are FICA tax payments, retirement contributions, as well as health and other insurance. The data is listed by position and does not include the employees' names. --The superintendent was paid $176,165.50, with total compensation of $212,304.29. That number represents pay to former Superintendent Todd Roberts. The new base pay for the position is $245,000. 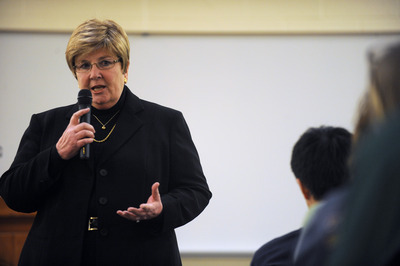 --Six high school principals, who earn a range of $112,909 to $131,234 per year. --Six assistant high school principals, one of whom also is an athletic director. They're paid $104,374 to $123,013 per year. --Five middle school principals, earning $105,175 to $120,398 per year. --Five assistant middle school principals, earning $103,561 to $110,281 per year. --Nineteen elementary principals, earning $100,045 to $114,924 per year. --One preschool principal, earning $107,236 per year, and the director of community education, earning $$112,069. --Four teachers. Those rates are $117,021, $101,578, $101,292, $101,274. Administrators have said those pay rates reflect extra duties, such as coaching, in addition to classroom instruction. Other positions include deputy superintendents, three assistant directors for student instructional support (each about $116,000), an executive director for physical properties ($124,649) and a director of operations ($118,661). The total wages for the 59 employees is $6.903 million, or $9.321 million including benefits. The district's total operating budget for 2011-12 is $183.5 million. The district is planning to cut an estimated $14 million in 2012-13. A request has been made to the district for the total headcount during the timing of this report so that the percentage of employees making more than $100,000 can be determined. That will be added to this story when it's obtained. Read the district's list of employees making $100,000 or more. Wed, Dec 21, 2011 : 6:24 a.m.
Tax dollars Hard at work lining the pockets of executives while our children suffer. Wed, Dec 21, 2011 : 6:21 a.m.
Tue, Dec 20, 2011 : 11 p.m.
@jns131: &quot;Must be nice to make $75000 and continue her education. We end up cutting back because we have to pay for his continual education.&quot; Not sure what you mean by that -- are you assuming that my wife's continuing education is free, and that WE don't have to cut back to pay for it? If that's what you are trying to suggest, what planet are you from? Tue, Dec 20, 2011 : 6:01 p.m.
Teachers should be as well paid as persons working in any other profession. Some administrators work very hard, too. This would probably be more palatable to all if there was a decent review system. The current system increasingly judges teachers according to kids' test scores. That is not the right way to judge a teacher. The system will never be completely impartial but it would be better if teachers could be hired and fired more easily BUT with a thorough fair evaluation of their work based upon a number of factors - parent input, student input, administrator input, test scores, peer reviews. Good teachers are worth more than they will ever get paid. Bad ones hurt everyone. Good ones sometimes walk when things get out of hand and bad ones know they are entrenched and cannot be removed regardless. Any good teacher deserves a nice salary. Tue, Dec 20, 2011 : 11:45 a.m.
One commenter mentioned that teachers only work 9 mos out of the year -- more like 10 with many days exceeding the 8 hrs. most folks work. But guess what, I do believe that the principals only work the same amount of time and I'm not sure that they put in the extra hours above 8 hrs. per day. Hmmmm. Tue, Dec 20, 2011 : 8:11 a.m.
100 grand? Are you kidding? For what they do, in private industry that's considered chicken feed. Wed, Dec 21, 2011 : 3:09 a.m.
State of Michigan average wages in 2010 was just over $37,000. Down $4,000 from 2005. Most of the workers in Michigan would love to make $100,000. Many would even jump for joy at $50,000. A whole bunch would scream with joy at $35,000. Your understanding of what people make is a little flawed. Tue, Dec 20, 2011 : 1:01 p.m.
Chicken feed? Having sought new employment the last several months, I can tell you that jobs &gt; 100k are by far the exception, not the rule (for my industry). You can get there at director or VP level, but now you're talking 50 to 60 hours a week. Not to mention the competition for that position. Tue, Dec 20, 2011 : 12:45 p.m.
really! Can you prove it! Tue, Dec 20, 2011 : 4:45 a.m.
Tue, Dec 20, 2011 : 6:02 p.m.
Tue, Dec 20, 2011 : 12:32 p.m.
You are wrong that administrators only work 9 months a year. Tue, Dec 20, 2011 : 3:16 a.m. I can name one transportation director who made $125,000 before he was told he is out of a job. He came from Huron High School and we as bus drivers suffered because of it. He was transferred to Balais doing custodial work. Tue, Dec 20, 2011 : 3:05 a.m.
Perspective is everything. These 'educators' can cry and whine all they want. This is what I'm concerned about: <a href="http://news.yahoo.com/50-facts-u-economy-shock-205804459.html" rel='nofollow'>http://news.yahoo.com/50-facts-u-economy-shock-205804459.html</a> Makes you think, doesn't it? Tue, Dec 20, 2011 : 1:15 p.m. Thanks for the link. Ron Paul for Liberty! Tue, Dec 20, 2011 : 3:02 a.m.
AAPS likes to have higher paid teachers retire so it can hire teachers at a lower level. However, when it hires administrators, it hires them at a higher pay level. How is this helping the district financially? Tue, Dec 20, 2011 : 2:40 a.m.
As someone who believes that education is just about the most important public investment we can make, I take strong exception to the plethora of negative comments about the value of Ann Arbor's educators. While my kids have had teachers that were NOT worth their salary, they've also had a boat load that were worth every penny and more. And my house in Ann Arbor is worth considering more than the same house in neighboring communities because so many people DO value the quality of education in Ann Arbor. But I understand that there are few things in the world of work that are more personal and more controversial than salary. So to you those of you with the highly denigrating comments here, remember one thing. If your job title and salary were made public, I guarantee you that most people would think you're overpaid. It's human nature. Kudos to annarbor.com for leaving names out this time. A few years ago names were published putting many top earners (including many who were worth it) on the defensive because everyone in the community now knew their salary. Tue, Dec 20, 2011 : 12:44 p.m.
Tue, Dec 20, 2011 : 2:24 a.m. Kudos for AnnArbor.com for stirring up misguided facts about educators by such a grossly misguided &amp; incoherent article. What about the real story about the inappropriate salary raises given by an overpaid CEO Superintendent who doesn' t believe here job is to meet with parents ever and have just fatten the administrative numbers &amp; salaries while we are all living in lean financial times.....for everyone but the students, parents &amp; teachers. So instead of the real story we have misguided comments about how salaries are so high for educators when it's really the administrators who are the &quot;robber barons.&quot; Does anyone have an educated clue as to why some of those teachers would have a high salary? No...just throw stupidity, scream about the unfairness and insist that they work for tips...because that's how ignorant it sounds. Excellent school districts in this country have educators who are paid well...that's a fact so look it up. In the meantime, while you're fighting with the teachers, the Republicans will send their kids to private schools &amp; laughing how they destroyed your neighborhood schools, are making money off you &amp; your child because the charter schools you voted against in Michigan (remember that DeVos plan) is now reality...because you couldn't get your ignorance together and you allow yourself to be distracted by misguided articles like this. Tue, Dec 20, 2011 : 12:42 p.m.
so why is misguided to spell out the salaries of govt. emplyees. It is still my tax dollars. The last time I checked, I thought I had the right see where my monies are going. Especially if my taxes are in the 5 figures, eh! Tue, Dec 20, 2011 : 1:40 a.m.
Tue, Dec 20, 2011 : 12:47 a.m. I don't think Paula is an idiot. I think she's a very shrewd news director. She knows that, in a cage full of tigers, you just have to toss a cow in there to see the action. Look at this. There are 89 comments and counting. The top vote getter is at 141 and counting. A2.com wants to make money off its ads. We just helped them succeed. If we don't wnat this kind of crap to pop up just to rile us and get us going crazy, we need to remember this and refuse to bite the cow. Next time I see some incendiary &quot;article&quot; here, I intend to do my best to do my duty and not respond. Of course, if you teacher haters (lol) want to lash out at the overpaid and underworked teacher, I may not be able to control myself. But I shall try. Tue, Dec 20, 2011 : 4:48 a.m.
Tue, Dec 20, 2011 : 12:42 a.m.
@davecj: Not sure who you know who has such a cushy job. My wife, an AAPS Teacher, is usually at work on her laptop before 6:00 AM, comes home 5:00 PM-ish, works every evening and every Sunday afternoon, and sometimes takes Saturday off. There is always a ton of paperwork to catch up on during every break, paperwork that is finally done by July 4th in a good year -- thanks to getting a sub to cover several of her supposed &quot;sick&quot; days, which she spends doing paperwork and staying in close phone contact, all day long, with her sub, her team, and her kids' parents. Then it's back to work again in August. All that for WAY under 100K. Lucky she spent thousands and thousands of dollars, and many years, to get her Master's, or she'd be making a lot less. Tue, Dec 20, 2011 : 3:32 p.m. Under what law I am not sure of, either state or federal, most teachers must have their masters to continue to teach. I don't think it is mandatory, but yet, my husband did get his because he has to go back to school every 3 or so years to keep up the credentials. Must be nice to make $75000 and continue her education. We end up cutting back because we have to pay for his continual education. AAPS? Enjoy the perks. Mon, Dec 19, 2011 : 11:28 p.m. Given that this is pay, not salaries, and the number of pay periods isn't the same, the headline is meaningless. Mon, Dec 19, 2011 : 11:25 p.m.
Four teachers out of 59 employee's ? Shocking. Ann Arbor teachers are woefully underpaid, and by the way who has the most affect on our children ? Administrators and other employee's waste the most time during the day, how many of those take work home with them and pay out of their own pocket for the children ? Tue, Dec 20, 2011 : 2:12 a.m.
sklgrl50 - The $100,000 was pay and benefits. Not just salary. Sorry for the confusion. Tue, Dec 20, 2011 : 1:46 a.m.
@ DonBee Actually an AAPS teacher with a PhD at the top of the pay scale makes $87,700 (AAEA Salary Grid 2011). I would hardly call a teacher with a PhD a regular classroom teacher... They may teach in a regular classroom, but they are definitely not in the majority. Mon, Dec 19, 2011 : 11:43 p.m.
Terry Star21 - I think you will find all of the teachers on the list are head coaches. They get major money for coaching teams. A regular classroom teacher tops out just under the $100,000 limit. So for all intents and purposes there are ZERO teachers on the list since AAPS hires head coaches to be coaches first and teachers second. Mon, Dec 19, 2011 : 11:20 p.m. The athletic director- assistant principal salaries are shameful. The overal pay for all of these administrators is ridicouls. There are many good teachers who could be hired with those paychecks. It's the kids who matter, not these nitwits. Ann Arbor - please cut these admin salaries in half, as a start. That would cover 7 mil in the deficit right there. I bet no one leaves because they all know they couldn't get jobs like this, anywhere else. And, guess what? You'll still get the same mediocre public service - probably actually a little better since they'll be less full of themselves. Tue, Dec 20, 2011 : 1:39 a.m.
Mon, Dec 19, 2011 : 11:18 p.m.
Why was a post-approval hiring of an outside administrator granted to the new superintendent, which then had to be followed by large increases for two present administrators? The big money is with the administrators, not those folks actually working directly with the children. Hmmmm! Tue, Dec 20, 2011 : 1:15 a.m.
Good question. If the new &quot;Super&quot; hired someone without Board approval then the results should be either a) the new hire is terminated as unauthorized, or b) the new hire's salary is reduce to the level of the comparable administrators. If the new hire finds b unattractive they can quit. The new &quot;Super&quot; should have a note in her performance file admonishing her for failing to follow policy and procedures. The INCORRECT RESPONSE is to give people a raise! Mon, Dec 19, 2011 : 11:16 p.m.
My guess is when you compare apples to apples, ie 27 vs 26 pay dates, the number will be much closer to 88, and 4% of the district. Mon, Dec 19, 2011 : 10:55 p.m. I have said for years that the AA school system was unbalanced at the top without enough classroom teachers in the schools. If the school system needs to do any budget cutting, this is the place to satrt. No wonder that Public School employees have been targeted for cutbacks. Mon, Dec 19, 2011 : 10:40 p.m.
Let's not forget that these teachers only work 180 days. That's 36 weeks, no weekends, no Holidays. Yes, they take work home, so do most professionals I know. Yes, sometimes they need to work an evening or two for parent - teacher conferences, again most professionals do. Yes, they have to complete continuing education requirements, again most professionals do. They work a 7 hr day, including lunch. Most professionals I know work an 8-10 hr day, and squeeze in lunch. They get 10 weeks off every summer, 2 weeks at Christmas, 1 week in February, 1 week in April, and every Holiday throughout the year. So, in reality, that $100K is for working about 2/3 a year. Don't we all wish we had 14 weeks off every year? Wed, Dec 28, 2011 : 2:42 a.m.
aamom, I'm pretty sure I know that same person....His job switching was really telling. Wed, Dec 21, 2011 : 3:05 a.m.
gyre - Don't expect that any private sector job that is salaried is 40 hours a week any more. Don't expect that any private sector salaried employee is not going to college to stay in their job. If you move to the private sector and take a salary, here is what you can expect: A minimum of 55 hours a week at the job onsite. Commute time to and from, a minimum of an hour in the evening every day (Saturdays and Sundays included) checking and responding to email, doing research and otherwise trying to keep up. At least 1 class a year at a local university - obtw - it does not move you up the ladder, it only keeps you on the ladder. Weekend projects that will depend on your job, but typically 2 or 3 weekends a quarter finishing some project that takes more concentration than you can in the office. Overtime on crunch weeks beyond the 55 hours, typically the last week in a quarter, unless you do sales, then it is the last week of every month. If you company is global - travel to other company sites to work (not play) on a regular basis. Typically leaving on Saturday or Sunday and returning on Sunday with a back in the office on Monday morning The only folks who have a 40 hour week anymore are the hourly people - though many of these people work two or three part time jobs to make ends meet. Wed, Dec 21, 2011 : 1:19 a.m.
gyre - I would love to see some of these Balas administrators survive a week in some AAPS schools, and not the elite, perfect ones. Come and try it, let's see how you handle it! Several people at Balas have lost touch with reality being away from the actual job of teaching for so long, and now they are getting the big pay raises. Tue, Dec 20, 2011 : 1:27 p.m.
Davecj: Your expectation that teachers only work 2/3 of the year is unrealistic. The number of hours spent on the job during the year, not just in the classroom, far exceeds the number of hours for most other jobs. The pay they receive given the educational requirements is probably less than most other workers in a similar salary structure. They are there because they love the job. If you think it is a cake walk, then walk in their shoes for a month. Tue, Dec 20, 2011 : 12:40 p.m.
Hey, keep defending yourself. Half of the people in the US are naw considered poor, and you are still justfied. I truly wonder what our rate of return is with the outcome of the kids coming out of A2 schools. I can say one thing, the behavior of the kids in some of the schools is below par. That would call into question the salaries of some of the principals. I do not enjoy visiting them. Tue, Dec 20, 2011 : 4:26 a.m. Interesting, that only 4 out of 56 are teachers that make 100k and mostly because they are doing other things besides...yet somehow this insightful attack them falls solely on their shoulders because of the readers misinformed inside information about their job.... That fantasy schedule must come from an alternate dimension called hatred for teachers. Tue, Dec 20, 2011 : 3:48 a.m.
Have a friend who left auto engineering for teaching. Loved it but the constant after hours/weekend work was too stressful and time consuming that it was taking it's toll on his own kids and family. Not to mention the cut in salary. Went back to engineering. Makes more, predictable hours, happier family. A school lost a great teacher. Can't blame him. Really isn't a more unappreciated job out there today. Tue, Dec 20, 2011 : 12:34 a.m. I'm trying to figure out how a debate on teachers derives from an article about administrative pay. Tue, Dec 20, 2011 : 12:11 a.m. Remember, most of us teachers on the front line working with your children do not make this 6 figure salary, or salary is much lower. I work when I get home, correcting and planning for the next day, the rest of the week. I am there before 7:30 each day, and don't leave until 5:00. I work weekends also, and many of the teachers at my building go in on the weekends. We work a lot more evenings than you have written about, but then obviously you don't really know what you are talking about. Do I like the February break? No, it was added so that the families in the AAPS could have the same week off because many of their parents work at U of M. I always request that it be gotten rid of, it is too disruptive to student learning. If you are that upset about the time off teachers have, then maybe you should have chosen this as your career. I chose this career because I have a passion for working with children, not for the vacations. Mon, Dec 19, 2011 : 11:42 p.m.
Hum Dave, administrators work all year. Remember, most of these individuals mentioned in this article are administrators, not line teachers. But reading the article to review true facts, that like too much like right. Mon, Dec 19, 2011 : 11:41 p.m.
davecj - The school calendar is no longer 180 days long. The state allowed schools to shorten the calendar during the Granholm years. Today it is down from 187 (Engler) to roughly 176. Because of vacation days during the school year the calendar is roughly 42 elapsed weeks now up for 40 back in the Engler days. Mon, Dec 19, 2011 : 11:31 p.m.
Maybe you introduce me to a teacher who really works that fantasy schedule. I'm curious where you get your &quot;facts,&quot; by the way. Mon, Dec 19, 2011 : 11:05 p.m.
Mon, Dec 19, 2011 : 10:49 p.m.
Mon, Dec 19, 2011 : 10:37 p.m.
Come on AnnArbor.com - you can do better than this. This is an inappropriate headline meaning nothing and seems geared to be a flash for readers. This is the style of very low end rags posing as newpapers. Mon, Dec 19, 2011 : 10 p.m.
Tue, Dec 20, 2011 : 3:19 a.m. He was making $125,000 when he came in to transportation as director in 2006. Now he works as custodial staffing inside Balais. Thanks for mentioning his name. This on line news paper did not believe me. Mon, Dec 19, 2011 : 9:59 p.m.
....AAPS has cut the number of employees making 6 figures from 88 in 2009, to 59 in 2011.... Not true .. 27 compared to 26 pay periods. I have no problem paying excellent teachers upwards of 100K, especially with extra duties, advanced degrees, and summer teaching. If we cut teachers' pay, administrators should AT LEAST take the same percent of cut in their pay, not pay raises! Most teachers will tell you that directors of blah blah blah just get in the way and impose programs and teaching methods on them. Teachers know best in most cases. And the excellent ones are always doing research to find and fuse effective methods into their teaching. Mon, Dec 19, 2011 : 9:54 p.m.
Ok, assuming all these people are Ann Arbor School taxpayers. I would expect them to earn an amount commensurate with the community. HOw many are not taxpayers or choose, as I do, to enjoy the benefits at the expense of A2 taxpayers? Tue, Dec 20, 2011 : 3:42 a.m. I don't understand what you are saying. If you go to AAPS, you pay the same school tax, regardless of whether you live in the townships or in the city. You have to have noticed that on your tax bill. Maybe you don't have any kids? The greenbelt is different. I guess you could live in the township and drive your car to an ann arbor park everyday or something. Seems silly when there are plenty of parks in the townships. Mon, Dec 19, 2011 : 9:40 p.m. Thanks Ann Arbor! I'll enjoy your schools and green belt from my affordable Twp. Home! Mon, Dec 19, 2011 : 9:25 p.m. So the executive director of physical properties and director of operations make WHAT? So people understand these are custodial supervisor's. Randy Trent and Bradford Mellor . Mellor was removed from two schools when he was a principal and aaps keeps moving him around. Don't know of any custodial supervisor's any where who make this kind of money and don't know much about the department he is head of now. Only in Ann Arbor. What a shame, and you cut the custodial pay 1 1/2 years ago by more then 8%. Someone tell me how this makes sense. Tue, Dec 20, 2011 : 3:20 a.m. This on line news paper questioned me when I mentioned this in another article a few months back. Go eat your words AA on line. Thanks Joy. I needed to reread this. Mon, Dec 19, 2011 : 9:19 p.m. Sounds to me like these folks are included in &quot;the 1%&quot; that the wall street protesters are so upset with. Mon, Dec 19, 2011 : 11:32 p.m.
Nice links Mike. CNN expands on CBO report (used as the kindling to fire up the occupiers) and is one of the first that I have seen to move beyond the mysteriously selected 1979-2007 CBO report dates. Also nicely shows there was a previous period of 1 percenters getting high income. That was during the Clinton administration - funny, didn't see many Occupy camps set up in 1999. Apparently class warfare is only needed to re-elect a failing President. Mon, Dec 19, 2011 : 9:45 p.m. The 1% are billionaires, so not even a very low percentage going on here. The 1% are those who have it all, and the only thing left to get is power and control of the world. 5% of the people control 95% of the worlds wealth, and most of these people still have a long way to go before they make it to the top 1%. Paula - Are we sure that the &quot;Teachers&quot; topping $100k are actually teachers and not special ed or a service function? Mon, Dec 19, 2011 : 8:54 p.m. I'm embarrassed and ashamed to see these wages. They are over the top and inappropriate given today's fiscal environment. Seems the top tier needs to be buzzed before a penny of cutbacks is levied elsewhere! Talk about greed and sense of entitlement! Mon, Dec 19, 2011 : 8:59 p.m.
Mon, Dec 19, 2011 : 8:40 p.m. So what gives??... most all comments here have bad things to say here. The reality is that these people have a career job, and took a long time to get to this pay raise. Secondly, can anyone writing these negative things honestly say that if it were you would you give it up after working so long to get it. Another thing, please stop pretending that $100,000.00 is a lot of money. By today's prices, it's about equal to $45,000.00, when most of these people began their careers there. That's less than half, so it really is not a lot of money, in today's standards anyway. Tue, Dec 20, 2011 : 12:34 p.m.
Mon, Dec 19, 2011 : 8:58 p.m.
Maybe not in Ann Arbor, for some people. oo I wish i got 45000.. id feel rich..
Mon, Dec 19, 2011 : 8:32 p.m. These admin jobs can be pretty nasty. . . I don't think they're overpaid. Mon, Dec 19, 2011 : 8:10 p.m. The number to focus on is the TOTAL of wages+benefits. This is what the district is really paying. Not just wages. So the article states that the district is paid 59 employees over $157,983/year in total compensation. These employees were being paid benefits that are 35% of their wages. I would estimate that hundreds of employees (including both administrators and teachers) were receiving over $100,000/year in total compensation (translating to $74,056 in wages and $25,944 in benefits). Employees focus on wages. Bosses focus on total compensation. The taxpayers are the bosses here. Mon, Dec 19, 2011 : 7:56 p.m. In response to a post noting that these salaries are outlandishly high, Forever 27 asked &quot;what about CEO pay?&quot; I'm not even sure if it is right to compare the two, but... First, education is paid for by everyone. Society as whole. And as the avid consumers we are, no one like to &quot;overpay&quot; for something. &quot;Overpaying&quot; hurts all of us. As for the CEO, he runs a &quot;for profit company&quot;. If his product or service is not competitive in the market, he'll eventually get canned. His pay has little reflection on the cost of goods or services. The market determines the price. That's the beauty of free enterprise. If you can do it better, you can be rewarded for it. Personally, I'm fine with their salaries, and the progress they have made in reducing their budgets in these difficult times. Mon, Dec 19, 2011 : 11:59 p.m.
Don - Andy pointed that out to me. Thanks. Mon, Dec 19, 2011 : 11:37 p.m.
Mike K - The problem is that AAPS does not do apples to apples here. They put 54 weeks (27 pay days) in one report and 52 weeks (26 paydays) in another. Then they take jobs that are filled only part of the year (e.g. the Superintendent) that had two different people in them and say that that is the compensation. This report is true but highly misleading. Several people will make $150,000 or more this school year, but will not show up on the report because the report is calendar year - not school year. The right way to do this would be to take the contracted salary and benefits and report on that, rather than going to the payroll system and asking how much did someone get paid between date &quot;X&quot; and date &quot;Y&quot;. They are following the letter of the law, but not the spirit. Mon, Dec 19, 2011 : 10:06 p.m. Thanks for the catch. So much for that. Mon, Dec 19, 2011 : 9:57 p.m.
&quot;Sorry DonBee - should have been more clear. I was thinking about 88 6 figure salaries in 2009 vs. 59 now. I would view that as trying to control costs.&quot; As the article states that has nothing to do with cost control, its an accounting aberration caused by 2009 having 27 pay periods and 2010 having only 26. There are just as many of these highly paid employees in 2010. Mon, Dec 19, 2011 : 9:08 p.m. Sorry DonBee - should have been more clear. I was thinking about 88 6 figure salaries in 2009 vs. 59 now. I would view that as trying to control costs. Forever27 - just as unions sign contracts, so do CEO's. Call the golden parachute you cite &quot;tenure&quot;. Your rage for Wall Street is appropriate, but it is only one example. To say lump all companies together is most certainly disingenuous and naive. Corporations have made your life better. There are 1000's of examples - advances abound. As for CEO pay, it is what it is. The market can clearly bare those costs. I don't begrude a man or woman who acheives a crazy high salary. In fact I wish I was smart enough and determined enough to get there myself. Defending the overly seditious maladministration still yet again, Don. How refreshing, indeed. Resurrect a constitutionally based Michigan and market confidence will return. Join the masses in urging the Snyd' administration to hit the road for Michigan's sake and don't look back. Mon, Dec 19, 2011 : 8:43 p.m.
Mike K - So your answer is to follow the previous direction in cutting budgets - lay off teachers? I don't call that cost control, but maybe you do. Mon, Dec 19, 2011 : 8:36 p.m.
&quot;As for the CEO, he runs a &quot;for profit company&quot;. If his product or service is not competitive in the market, he'll eventually get canned. His pay has little reflection on the cost of goods or services&quot; If this were true, we wouldn't have the golden parachutes that we see from wall street. We also wouldn't have people who tanked our economy making millions of dollars in BONUSES on top of their already ridiculous salaries. So to say that the private industry polices itself through the free market is either disingenuous, or naive. Mon, Dec 19, 2011 : 7:41 p.m.
With her plethora corrective commentary in plain view, maybe Paula could learn from someone other than Nathan Bomey how to professionally post a &quot;news&quot; story. No? Edit first. Post second. Keep recipe intact. Mon, Dec 19, 2011 : 7:25 p.m.
an executive director for physical properties ($124,649) and an executive director of physical properties ($124,649). What's the difference ?? Fancy title for property manager perhaps?? Mon, Dec 19, 2011 : 8:49 p.m.
Mon, Dec 19, 2011 : 7:30 p.m.
Should have read (and story's been corrected): Other positions include deputy superintendents, three assistant directors for student instructional support (each about $116,000), an executive director for physical properties ($124,649) and a director of operations ($118,661). Mon, Dec 19, 2011 : 7:24 p.m.
Why do we even need athletic directors at high schools? From what I've seen, it's pretty much a do-nothing job anyway. Mon, Dec 19, 2011 : 8:41 p.m.
Tex Treeder - Ann Arbor has 3, Plymouth Canton 1. Both field 3 football team, and three of most other teams. Plymouth Canton has more students. Go figure. Mon, Dec 19, 2011 : 8:16 p.m.
Mon, Dec 19, 2011 : 7:36 p.m. Simple. That is because you just are failing to see. Mon, Dec 19, 2011 : 7:14 p.m.
@clark, you make a great point. I just changed the headline to clarify that we're talking information from the 2010 calendar year (not school year) even though it was just released publicly in this format. The last story (on 2009 payroll) was published in August 2010 - so it was available earlier in the year than this information. Mon, Dec 19, 2011 : 7:12 p.m.
Tue, Dec 20, 2011 : 12:17 a.m.
Slave....no vacation, eh? So you are working straight through the holidays except for Sunday off for Christmas and New Year? Tough job. There are some that work hard for the salary they receive, and some that hardly work at all. Thank goodness one of these retired in the past year. They earn AT LEAST their way. Apparently some do need diagrams. Do we need to review AGAIN the import the civil society puts on those who are responsible for our children when they are school, or could you all just move on to kicking puppies? Mon, Dec 19, 2011 : 8:29 p.m.
Wow! Eleven plus months, imagine a person working &quot;eleven plus months&quot;? Mon, Dec 19, 2011 : 7:35 p.m.
Because we value the people we trust to care for our children when they are in school. Nobody mentions they work eleven plus months a year. Are diagrams needed? Mon, Dec 19, 2011 : 7:07 p.m. Despite the headline saying 2011, this data appears to be from 2010 (it's the 2011 report of 2010 data). Does it seem odd to anyone else that we're days away from 2012, yet AAPS is just now getting around to releasing financial information from 2010? I can understand waiting until the end of 2010, but surely it didn't take 12 months to compile a one-page list on last year's payroll. We're talking about decisions made by AAPS leadership in 2009, that took effect in 2010, that we the taxpayers don't find out about until the end of 2011. It's frustrating how &quot;transparency&quot; requirements are effectively nullified by this kind of end run tactic of delaying release for so long that enforcing any kind of accountability of the organization is a lost cause. clark - If you think that is bad, check out the last date that checkbook updates were posted. We are weeks away from being a year behind, even though the school board voted to post them all. Mon, Dec 19, 2011 : 7:04 p.m.
Tue, Dec 20, 2011 : 3:24 a.m.
You wouldn't last unless you know how to play the game. Food service workers got privatized, bus drivers got privatized and it would not surprise me in the least if the custodians get privatized in June. We fought a tough battle but lost to the wealthy in Balais. Mon, Dec 19, 2011 : 6:59 p.m.
Mon, Dec 19, 2011 : 7:06 p.m.
We did and are waiting for you to do the same. ... still waiting. the over simplification in your comment is astounding. You assume that the positions included in this figure are of no inherent value to the school system. Attacking the employees of the school system for their &quot;wasteful salaries&quot; is nothing but a red herring argument tactic by conservative politicians. We hear nothing of this outrage when it comes to no-bid government contracts and CEO pay for companies on the government dime. Mon, Dec 19, 2011 : 6:58 p.m. Thank you for the transparency reporting, it is duly noted. I hope they remember to Buy Local! Unlike AAPS who outsources our heating and cooling to a company in Flint, I do buy local! Mon, Dec 19, 2011 : 6:54 p.m.
Paula, does that mean that if there were one more payroll date, the number would be that much higher? Tue, Dec 20, 2011 : 9:29 p.m.
Paula-- I happen to have the 2010 transparency report, which I downloaded previously, when the budget discussions were happening. Let me know if you want me to email it over to you. Yes - according to a conversation I had on Friday, there were a number of people on the last list but toward the bottom of it that, according to the district, were there only because of the extra pay date. Otherwise, their compensation would have been in the $90k range. The previous list no longer is on the AAPS website, so I've asked what the differences are. Mon, Dec 19, 2011 : 6:49 p.m. This was just added to the story: The difference in the fewer number of employees earning six figures is the fact that the 2009 list represented a year with 27 payroll dates instead of 26, according to the district. Tue, Dec 20, 2011 : 4:35 p.m. This reminds me of Alicia Silverstone in Clueless saying that cutting your food into smaller bites makes it have less calories. An annual salary is an annual salary. If there are 27 pay dates instead of 26, that salary is divided by 27 instead of 26. The total is the same. So these numbers are contractual annual salaries, but calendar amounts? Mon, Dec 19, 2011 : 6:43 p.m. Wait..... AAPS has cut the number of employees making 6 figures from 88 in 2009, to 59 in 2011.... and annarbor.com chooses a headline that just begs for controversy. Is your sole purpose to increase comments on an article? Or to actually respresent facts accurately? Mon, Dec 19, 2011 : 11:57 p.m.
Paula Gardner, I beg to differ with your statement, and this is from personal experience as an employee in the district. When we have 27 pays in a year, our salary is divided into 27 chunks, not 26. This is mathematically an impossible reason or justification for the decrease in the number of staff making a 6 figure salary. We get the same amount of money over a year, just less each time. Whoever inputed this statement in the article is way off base, or covering up something else they don't want to admit. Mon, Dec 19, 2011 : 6:48 p.m.
Just added this to the story: The difference in the fewer number of employees earning six figures is the fact that the 2009 list represented a year with 27 payroll dates instead of 26, according to the district. Mon, Dec 19, 2011 : 6:46 p.m. Were they &quot;cut&quot; or did they retire or take other positions? There IS a difference! Mon, Dec 19, 2011 : 6:40 p.m. These salaries are outrageously high. Michigan public school educutors have the highest pay of any state in America. Thanks for the links Rob, very interesting. Tue, Dec 20, 2011 : 6:07 a.m.
A more recent number (from 2009) is that MIchigan is #11. We're behind states you expect (e.g., those that have a higher cost of living, like CA, NY and CT, and also have tended to have at least somewhat liberal/Dem govts). <a href="http://www.nea.org/assets/docs/010rankings.pdf" rel='nofollow'>http://www.nea.org/assets/docs/010rankings.pdf</a> (p 67) This is consistent with info collected for the 2010 US Census (we're #9 there): <a href="http://www.census.gov/compendia/statab/2012/ranks/rank20.html" rel='nofollow'>http://www.census.gov/compendia/statab/2012/ranks/rank20.html</a> So in short, we're likely in 2011 somewhere in the #8-15 range. Tue, Dec 20, 2011 : 4:14 a.m.
On behalf of Don Bee, that answer would be no. Tue, Dec 20, 2011 : 2:36 a.m.
Tue, Dec 20, 2011 : 12:10 a.m. Sorry, but I don't consider these people educators. They are administrators. Please don't paint the teachers with this brush. Tue, Dec 20, 2011 : 12:06 a.m. Thanks for the links DonBee. Very interesting. Principal salaries are not based on longevity in the district. Several of the principals have been in the district around ten years, my teaching career is at 38 years, and I am no where near a 6 figure salary. The administrator salary is based upon a salary scale for their position, and is very different from the teacher salary scale. Mon, Dec 19, 2011 : 9:55 p.m.
Mon, Dec 19, 2011 : 8:38 p.m.
Roadman - 5th highest in the nation according to the American Federation of Teachers, down from 4th highest 2 years ago. This is based on salary, benefits and affordability. Mon, Dec 19, 2011 : 7:11 p.m.
Longevity at a job is usually rewarded with a higher salary. The fact that many of the positions are Principals should not be a surprize. The individuals have been in the school system for many years having moved up the ranks from the classroom to management. Managing the operation of a school, managing the teachers, and interfacing with the parents when issues arise fully justifies these salaries. Given the responsibility, you would find personnel in the private sector making much more money. I you really think these people should be paid peanuts, try jumping into their shoes for a while. You will understand how difficult these jobs really are. Mon, Dec 19, 2011 : 7:09 p.m.
Mon, Dec 19, 2011 : 7:03 p.m.